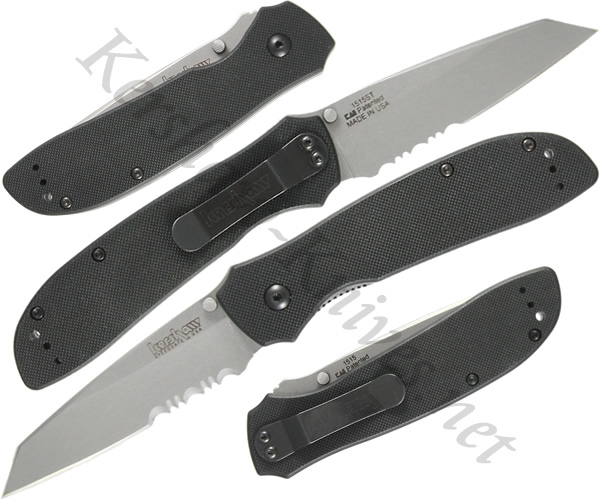 The Kershaw Random Task II 1515ST has a partially serrated Sandvik 14C28N stainless blade that is suitable for a wider variety of chores than a plain edge. Quick one-handed opening is set in motion with dual thumbstuds and completed using Kershaw SpeedSafe technology. The black, textured G10 scales provide a solid gripping surface. A reversible pocket clip is included with the Kershaw Random Task 1515ST.